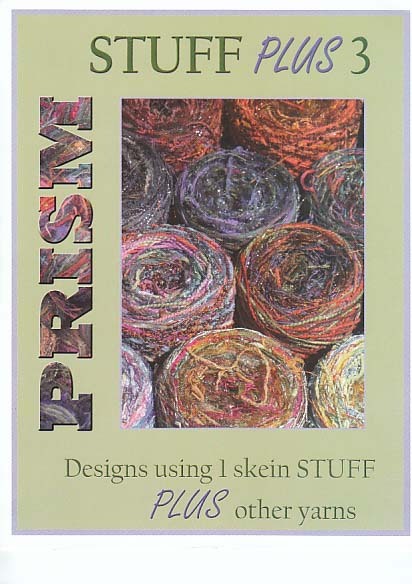 All of Prisms Stuff yarns are mostly cotton, rayon and nylon. Wild Stuff has about 25% kid mohair, fine wool and alpaca, with a lot of eyelash and metallic. 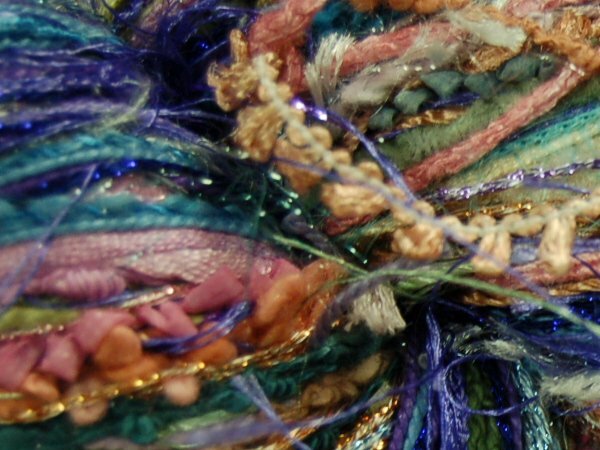 Cool Stuff has no wool or mohair, less eyelash and about the same amount of metallic. Light Stuff has no wool or mohair, some metallic and very little eyelash. 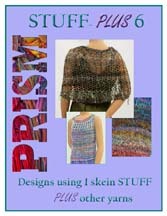 The Stuff skeins have more yardage and generally make a ligher weight garment. 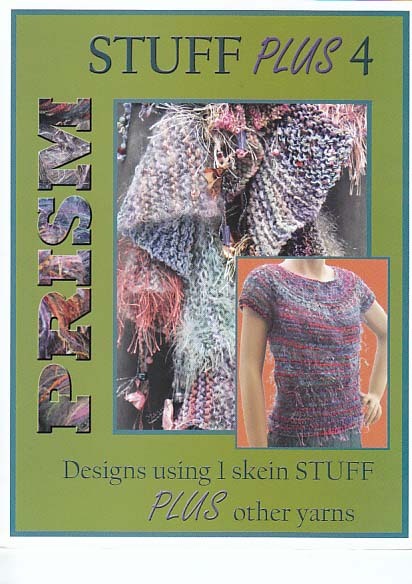 Impressions is very chunky, with lots of think wool and nylon blends, fur yarns, cut silk fabric strips and triple strands of eyelash. 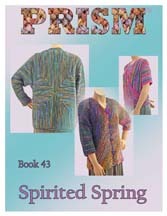 It has half the yarndage of Wild or Cool Stuff. Light Stuff - 400 yards - 5 sts = 1 inch on US #6 needle. 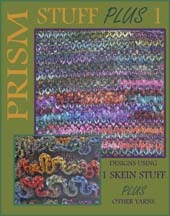 Cool & Wild Stuff - 300 yards - 4 1/2 sts = 1 inch on #8 needle. Impressions - 150 yards - 2 1/2 sts = 1 inch on #13 needle. Light Stuff 1/2 skein = 200 yards, Wild and Cool Stuff 1/2 = 150 yards and Impressions 1/2 skein = 75 yards. Please email or call us if you have questions or if there is a color that you would like to order that isn't listed on our website. 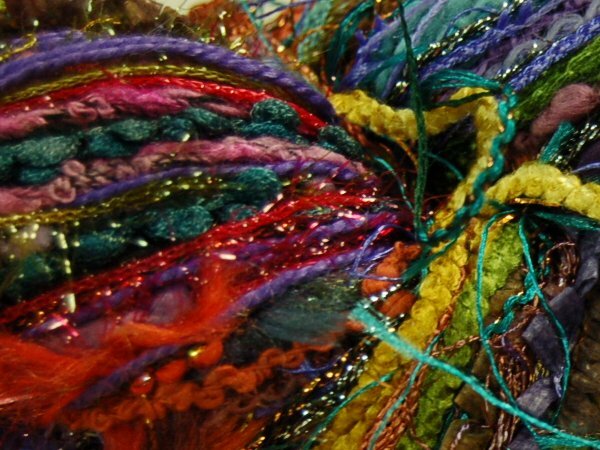 Other important information to note when choosing a weight, when Cool or Wild Stuff are doubled the gauge is 2 1/2 sts = 1 inch or if adding a standard strand of mohair to Cool or Wild Stuff the gauge becomes 2 1/2 sts = 1 inch. 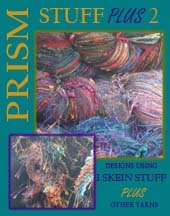 Enjoy working on your next show-stopping project with this yarn... it is all absolutely fabulous!